With encryption already starting to go mainstream, chances are you're finally considering adopting it to protect your data and communication. But where do you start from? An app? Several apps? An entire secure phone? 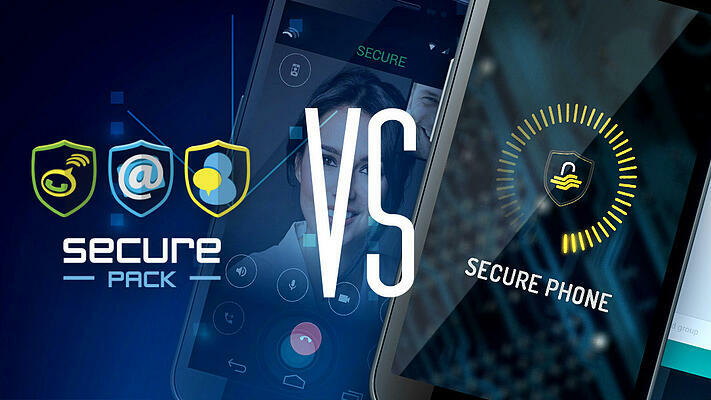 We're here to help you out with our neat Secure Pack vs Secure Phone comparison. Secure Phone seems to be clear the way it sounds, right? But what about Secure Pack? Obviously, it's a pack. But a pack of what? The answer is as simple as it is powerful — three Android apps designed to encompass all your mobile communication needs and provide reliable end-to-end (E2E) encryption along with other security and privacy features. Secure Email — our flagship app for PGP end-to-end encrypted email. With its familiar, intuitive user interface and rich options, Secure Email can be used for both encrypted and non-encrypted emails and is compatible with many other PGP-protected email apps. 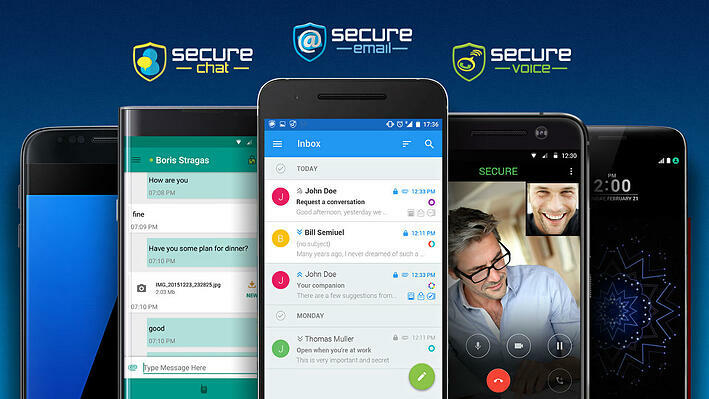 Secure Chat — our premium app for OTR end-to-end encrypted instant messaging. It offers all the benefits of OTR encryption out of the box, wrapped by a user-friendly UI, and is compatible with other OTR-enabled apps. Secure Voice — our VoIP app for ZRTP end-to-end encrypted calls. It's very intuitive, works over 2G, 3G, 4G, or Wi-Fi, including for conference calls, and can connect to other ZRTP-protected VoIP apps. Secure Phone is our premium line of smartphones that provide maximum protection for your mobile security and privacy. A Secure Phone could be your best shield against man-in-the-middle attacks, surveillance, espionage, spyware, malware, data leaks, phone loss or theft, and many other threats. It keeps your communication and locally stored data safe. Secure Pack and other apps — every Secure Phone features Secure Email, Secure Chat, and Secure Voice out of the box. It also includes many other of our security and productivity apps, such as Secure Wipe, IMSI Catcher Detector, Secure Firewall, Secure Backup, Secure Folder, Secure Note, etc. 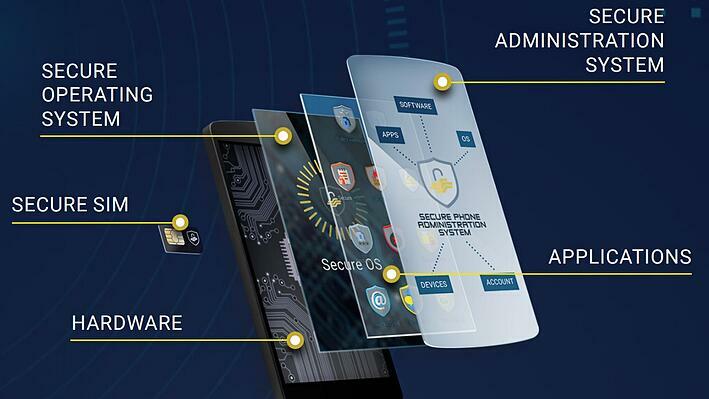 Secure OS — our custom version of Android puts another robust layer of protection to Secure Phone. It eliminates all back-door and data-leak risks from the standard Android and adds many security features, like stronger full disk encryption, separate passcodes for unlocking the device and decrypting the locally stored data, and a more private notification system. Premium hardware — on the device part, we use thoroughly tested high-end smartphones, like flagship Nexus and HTC models. They use the Snapdragon 801 chipset, which allowed us to lock the bootloader in order to push Secure OS and to protect Secure Phone from attempts to hack it via the bootloader. Secure SIM — every Secure Phone can be optionally used with Secure SIM — our multi-IMSI SIM card with an unlimited international data plan. Secure Administration System — also known as SAS, this is our exclusive, powerful system for granular control over Secure Phone. It allows you to remotely control every bit of your Secure Phone or to have an administrator do it for you. This includes remote wipe capabilities and pushing policies to turn on or off device and OS features, to allow new apps to run on Secure Phone, and even to enable or disable specific app features. 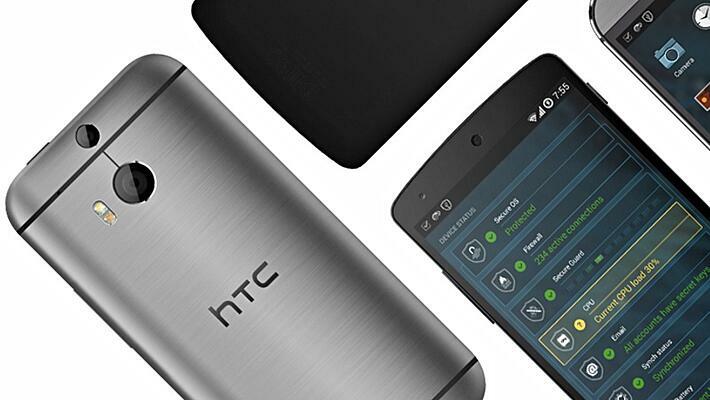 As for pricing, Secure Phone is currently available in two hardware models — Nexus 5 and HTC M8. But when you buy a Secure Phone, the device isn't merely as important as the service, which is the essence of the solution. You see, Secure Phone is much more a service subscription than a device purchase because it provides you with an array of premium services that will guard your privacy and security. Namely, the entire Secure Pack and the powerful Secure Administration System. On top of that, you get a huge added value with all the other secure apps and the robust Secure OS, plus support. So, this brings us to the concluding part where we're going to outline the key differences once again. Secure Pack is a set of the three most essential apps for your secure, private mobile communication. Nothing less, nothing more. Communication is the key word here. Secure Phone includes Secure Pack and everything else that we ever developed to make it as hacker-proof as possible. So, apart from end-to-end encrypted communication, it also offers a premium encrypted device running our custom Secure OS, more apps for security and productivity, as well as full remote control from SAS and an optional multi-IMSI Secure SIM card with an unlimited international data plan. In other words, you get the equivalent of full-body armor with all extras included. Of course, prices are rather different, and there's a clear reason why. I'm really into cars, so I'll make a car comparison here. Secure Pack is like a BMW M3. It's well engineered, fast, sleek, user-friendly, reliable, safe, and not too expensive. It'll easily, quickly and safely take you from point A to point B in Germany, and you'll love the user experience. A little known fact, The M3 is the only car ever to have earned more titles than the Porsche 911 in motorsport. Secure Phone is like an armored Humvee. The go-to vehicle for nearly every job the military has. It's extremely safe and reliable, it's fast, and it's one of the most survivable wheeled military vehicles ever built. It'll easily, quickly and safely take you from point A to point B anywhere in the world, in any condition. Then from B to C, D, E... As long as you put gas in it, it won't let you down. So, there you have it. Our Secure Pack vs Secure Phone comparison is done. What's left is for you to really become aware of your security and privacy needs and the threats you might face along the way. Ready to learn more? Go to securegroup.com to help you make an educated choice about your own mobile privacy and security.